What can nose surgery do for me? During your visit to our office in Dallas, Dr. Morales will examine your nose and discuss the options available. Some of the most commonly targeted features include bumps/humps on the bridge, angle of the tip, nostril size, and width of the bridge. Based on your desired outcome and Dr. Morales’ recommendations, a personalized treatment plan can be implemented. This procedure may be performed with incisions made inside the nostrils and across the underside of the nose in either an “open” or “closed” rhinoplasty. Dr. Morales will determine which is better-suited. He can then shape the nose to an aesthetically pleasing appearance, providing patients with a more balanced facial contour. Dallas nose surgery patients who wish to achieve a more dramatic facial makeover may also inquire about other procedures. 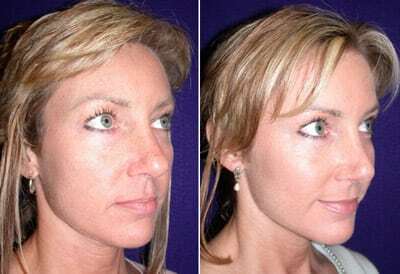 Commonly, Dr. Morales combines rhinoplasty with facelift surgery, eyelid surgery , and/or browlift surgery. Patients may achieve a youthful, more refreshed appearance when combining one or more of these procedures. Examples of previous patient results are available in before and after rhinoplasty photos. Our educational videos offer further information regarding procedures available as well as additional images. Patient testimonials will help you gain insight to the care provided by Dr. Morales and our staff. With certification from the American Board of Plastic Surgery (ABPS) as well as membership with the American Society of Plastic Surgeons (ASPS), Dr. Morales is highly qualified to perform your rhinoplasty in Dallas. He has more than 10 years of experience and strives to provide patients with the best care while at his facility. Those in the Dallas and Fort Worth area interested in nose surgery may schedule a complimentary consultation by calling (214) 827-8407. You may also use a contact form. For your added convenience, patient registration forms are available, which can be filled out prior to your visit. If you would like to alter your nasal appearance, you may wish to visit the practice of David E. Morales, M.D. He offers rhinoplasty to individuals in Dallas and the surrounding areas. Fluent in English and Spanish, our plastic surgeon welcomes all patients.